In the below AP story, Ben Vereen’s commitment to brain injury advocacy is discussed and applauded. 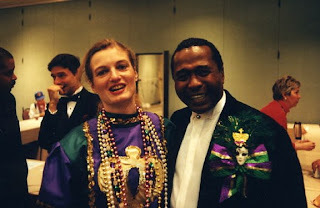 We had the honor of meeting Mr. Vereen in the late 1990’s at another brain injury fundraising function, at a Mardi Gras celebration. A picture of Mr. Vereen and my co-advocate, Becca Martin is below. The Mardi Gras seminar was one of my first opportunities to share my brain injury advocacy and I participated in this conference almost annually until the Katrina Hurricane. 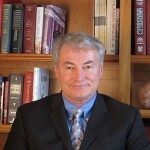 Several of the references on my bio on http://gordonjohnson.com are to speeches I gave at that conference. I had not been back to New Orleans since Katrina, until I was there last month. While the French Quarter is largely unchanged on the surface, much of what made it special is just a little off, especially the food. But I have committed to get back to the Mardi Gras program this year. New Orleans has always played an important role in my advocacy and I feel the obligation to give back to that city.